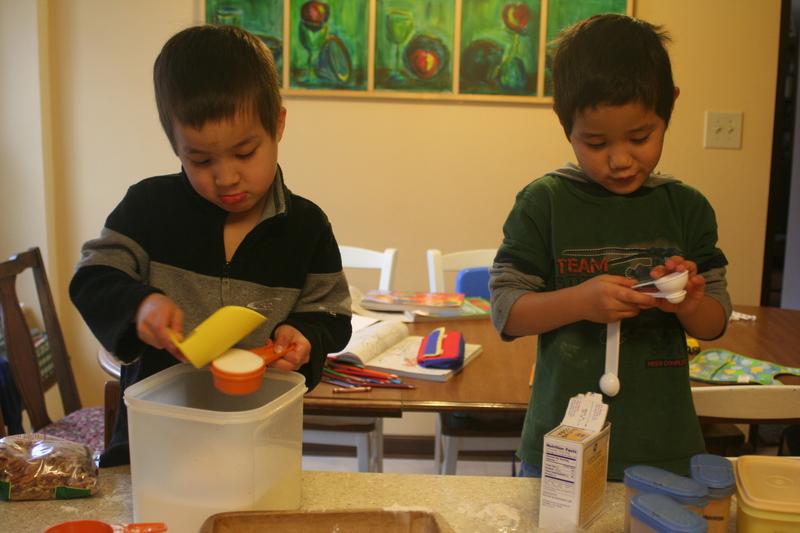 My boys love it when I invite them to help make something in the kitchen. Their eyes light up as they eagerly scrub their hands and get ready to help. They generally get along well and bend over backwards to take turns. 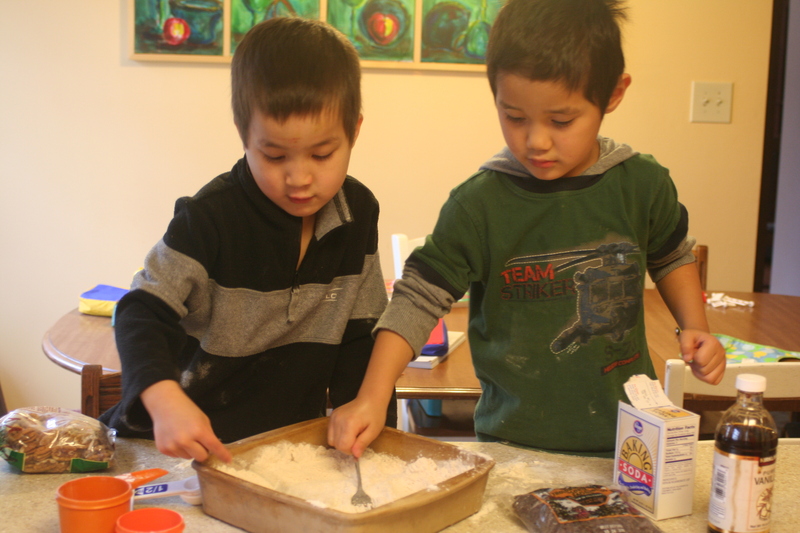 I think cooking with kids is a great way to build relationships, teach skills, and create appreciation for all that goes into food preparation. And we always have a great time! 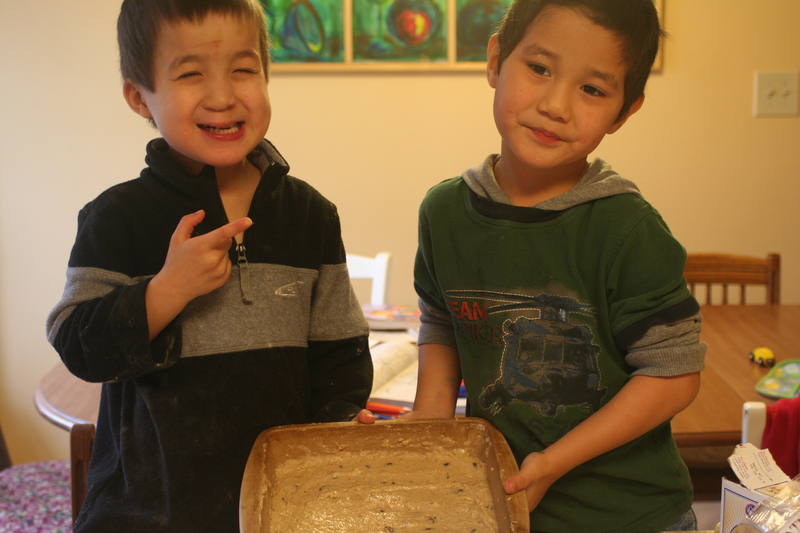 This cake was so fun - it's all mixed up in the pan so both of the boys had a chance to stir it. They were so proud of their handiwork and they really liked eating this cake, too! Mix dry ingredients in a greased 8x8 or 9x9 pan. Add the wet ingredients and stir with a fork until combined. 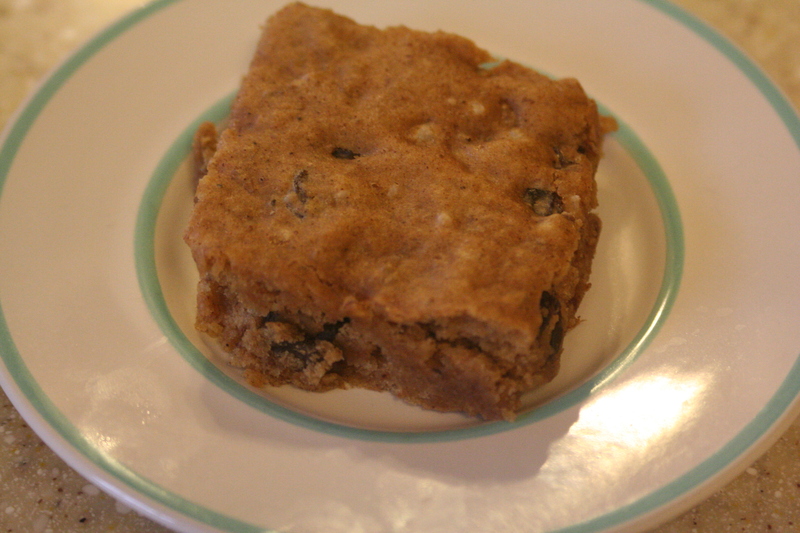 Stir in the raisins and nuts. Bake at 350 degrees for 25-30 minutes or until a toothpick inserted comes out clean. Let cool and serve. This is wonderful as is or you could dress it up with a soft whipped cream (add a little cinnamon and sugar) or for an adult dessert, a rum sauce. This looks easy and good! Zoe loves helping me bake and will love making this. Cake looks good, but I can't help but mention----that is the most adorable smile EVER!